14 phone directories are now available for search and use on DigitalNC! 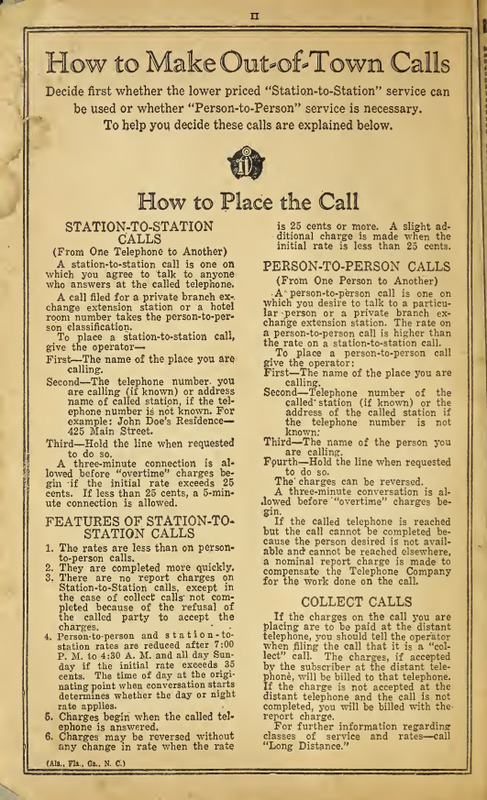 Phone directories, like city directories, offer a wealth of information for researchers and genealogists. Each contains pages dedicated to using the directory and even using a phone. Some of the younger users of this site may have never used a physical phone book, made a collect call, or utilized a phone booth. While that may be shocking to some, resources like these could serve as excellent teaching tools to help younger users and students understand the differences in how people have communicated over the past few decades. 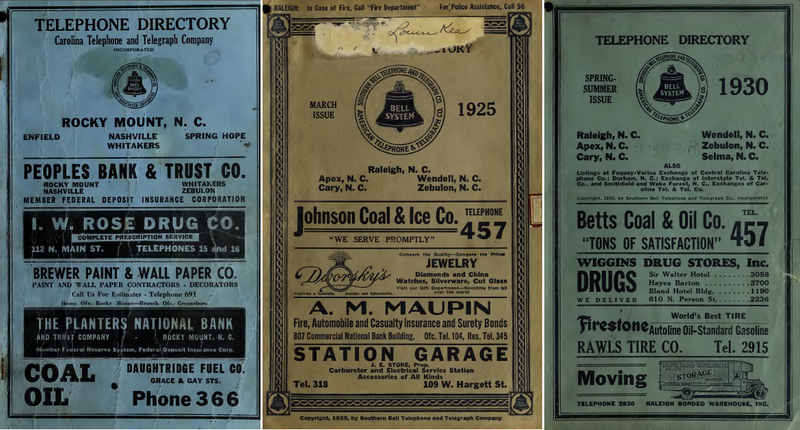 To learn more about Rocky Mount, N.C. and the surrounding areas, check all of the materials that Braswell Memorial Library has contributed to DigitalNC. To learn more about the library, please visit the website or the contributor page.